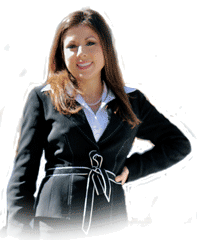 Cynthia Veintemillas of 20 Miles Law listens to her clients and uses her courtroom experience, intellect, and determination, to achieve her clients needs. As a Criminal Defense Attorney, Cynthia Veintemillas has defended people charged with crimes in Clay, St. Johns, and Duval County, Florida. She attacks a criminal case early on, because she believes that the best defense, is a good offense. For example: After being arrested in Jacksonville, the Duval County State Attorney’s office will need to decide whether or not to file formal charges. Cynthia Veintemillas will investigate your case and research the Florida laws that apply to your criminal case and present that to the State Attorney before your charges are filed. This could result in the prosecutor declining to pursue the case. You may be eligible for a pre-trial diversion program and the Florida charges could be dropped. As your Jacksonville Criminal Defense Attorney, Cynthia Veintemillas will thoroughly examine your case, because you may be over charged with a crime and qualify for a lesser criminal offense in Jacksonville, Florida. In the event that your Florida criminal case does not work out, Jacksonville Lawyer, Cynthia Veintemillas has represented several clients in Jacksonville jury trials, ranging from Jacksonville Domestic Battery and Jacksonville Driving Under the Influence (DUI) to Jacksonville Burglary and Jacksonville Murder. Even after you have finished your Florida criminal case, you will still have a Florida criminal record due to the initial arrest. 20 Miles Law firm can help with your record to seal and expunge the event leading up to your arrest. Cynthia Veintemillas and 20 Miles Law work with clients to seal and expunge a Florida criminal record. She also knows how to treat a criminal case, so the record can later be sealed or expunged. 20 Miles Law can help you with any traffic problems ranging from Florida speeding tickets to criminal traffic citations, such as Leaving the Scene of an Accident, DUI, and Driving on a Suspended License. Cynthia Veintemillas is a traffic lawyer that has helped numerous Florida habitual traffic offenders get their Florida Driver’s Licenses back.